Dr. David Conway: We better do more than hope, gentlemen. We better pray! 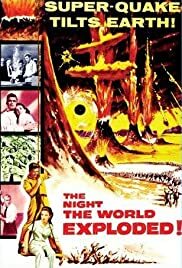 Entertaining typical 50's sci-fi low budget offering with slightly above average plot line for the time. However, particularly amusing are scenes in the military command aircraft which used card tables and folding chairs in front of mock-up aircraft porthole windows.